If you love turning your coffee grounds into a wonderful cup of coffee or espresso the Elektra Nivola Coffee Machine is the one to buy. My friends and I love a good cup of coffee or espresso when we meet for our weekly book club or other social gatherings and this machine makes it all possible. With the Elektra Nivola you can use either ground coffee or espresso pods. 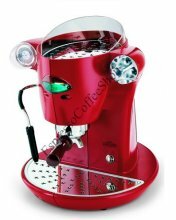 There are settings for coffee, espresso, cappuccino and also for steaming or frothing milk. Once you adjust to the machine it is very easy to use and easy to clean and maintain. I scouted out a machine that would be great for the book club gathering and I found this machine online for around $900.00. After comparing many machines with many options I found this machine to be the one to meet our needs at a cheap price. Plus its design is very classy!